Like I've been saying the better the combustion process the easier it is to make that compromise. And besides you gotta spend power to make power, or is that money? I forget. Jokes aside a turbo is basically stealing engine power but ultimately it results in a net gain as far as power and efficiency is concerned. So too with the ERS, it's stealing engine power but the result is a net gain, and since it's electrical there are fewer losses, and the power can be shuffled as needed to ensure this is ultimately a net gain. The turbo is intimately important to that combustion process, as is the ICE, and both can be electrically modulated, +/-200nm for the K, and who knows what for the H. So you can make sure there's always plenty of energy for the turbo regardless of engine RPM. Be more diesel like at low loads and rpm, more race car like at higher loads and rpms. Last edited by godlameroso on Wed Jan 03, 2018 6:04 pm, edited 1 time in total. It's just a way to send to the ES more energy from the K than the direct allowed 2MJ/lap. It's basically electric fuel accumulation as TC stated earlier. It's a novel idea, but you're forced to carry more fuel in order to accumulate it electrically. I wonder if Mercedes does this since it's fuel load is a bit lower than the rest. During an F1 weekend, the quali laps, first race lap, and one lap each side of a pitstop are the only ones where you actually need everything the car has in outright speed, unless you're fighting for track position or overtaking. At all other times, you're managing things like temperatures, tyres and running as energy-efficient a lap as you can to keep the fuel load low. If you consider the corners on a racetrack as sections where you need to slow enough to make the bend without sliding off the track, you immediately run into a piece of logic that says you should be storing whatever kinetic energy you have on the way into the corner, and deploying it on the way out, in order to *avoid* using fuel to drive the car forwards at the corner exit. This should be obvious. Obviously, MGU-K will be effective when you need to shed speed anyway, on the brakes, so of course it does this. On most tracks there isn't 2MJ of "on-the-brakes" energy available. You may supplement this with MGU-K charging at other sections of the track than on the brakes, where it hurts you the least in laptime. Perhaps that is where the driver isn't demanding full throttle from the engine, perhaps it's towards the end of a straight, but before you are on the brakes. Depends on how economical you're trying to be with fuel, as you say. With regard to energy capture versus deployment, a speed difference of minus 1mph when you only have 250m left in a straight and will in any case be braking at 4g in 120m only loses you 1mph for the 120m where you would otherwise have been flat out. If you get to deploy that energy at the start of a subsequent straight, you get +0.9mph for the length of a subsequent straight (which is presumably longer than 120m), or until you choose to fill the ES up again. (assumes 90% roundtrip recovery, fill in with your own value..). That 1mph also might be 5 or 10mph as you need, for your mapping, depending on the rate you want to capture at, and for how long. Giving up energy the end of a straight in order to deploy it at the start of another, is a sensible strategy. Limiting yourself to only 2MJ of this by only recovering via the K->ES directly is a poor strategy. If you can drive the car forwards with 4MJ of recovered energy per lap instead of 2MJ, it'll use less fuel than if that same 2MJ had to be expended by the ICE out of the corner. Deployment is about area-under-the-graph, and you will compromise end-of-straight in order to reap benefits at the start of subsequent straights. Put another way: if MGU-K regen was banned while the brakes were in use, do you suppose the teams would stop using it at all? There are no superspeedway ovals on the F1 calendar, where you run flat out all lap every lap - this is the only type of circuit where self-sustaining turbine-generated MGU-H power straight into the K would be the dominant factor in MGU-H performance, because it's the only one where there's no real acceleration or deceleration. Every track the F1 teams run on has significant speed changes, and where those exist you want to recover and deploy as much as possible. F1 tracks also have elevation changes. We aren't only recovering from the ICE, we are also potentially recovering potential energy from a vehicle weighing up to 838kg (733kg car + 105kg fuel) rolling down a hill. Obviously the ICE got it up there in the first place. I think during one of his lectures on optimal control, David Limebeer pointed out that there's about 1MJ available at Spa (extreme example) from elevation change alone. If anyone has thoughts on that I'd like to hear them. I don't want to make a crack on discussion but there is something I wonder about how mgu-k works . K generating energy at braking and this process generally starts from higher rev and higher speed towards lower once . Is the K motor in completely non spinning situation before the braking and suddenly starting to spin as generator when brake applied ? Or before this process something make it start spinning for smooth start of its generating mission? This is just a means to accumulate fuel since the flow is restricted. Total efficiency will be less. It would be how you excite the rotor? Interesting though that apart from braking the K is almost always motoring at maximum. I didn't think they had that much energy available.??? Also the H has an almost flat line when generating. It looks as if it has an electric limit lower than the surplus turbine power available. Ok hold on... highlighted it for you. look at the yellow high frequency section of the MGUH graph. rapid switching generation/motoring of the MGUH. 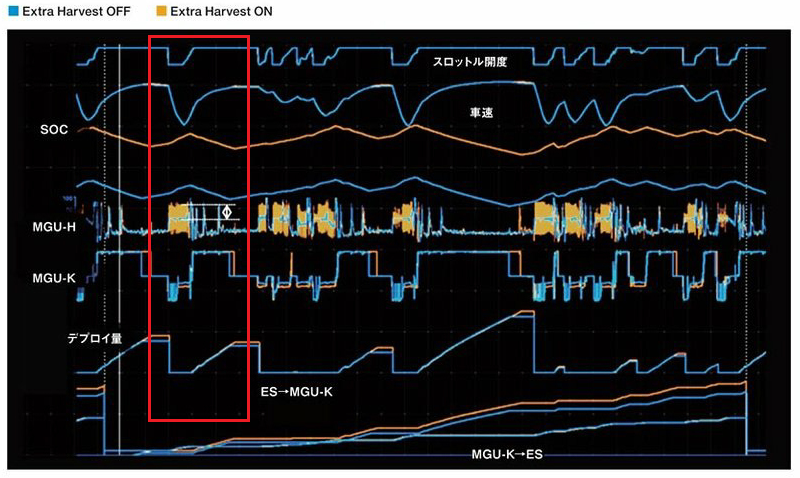 note the yellow represents extra harvest. Just part of the artcle. ·Because its a racing engine,so the weight and centre of gravity is very important.The RA617H is good in this area.As the reliability improves during the season,the weight increased too.From this point,The RA616H is too heavy and didnt meet ours target . ·The compressor and turbine was in the V bank in RA616H,but the RA617H put the compressor and turbine out of the V,and only MGU-H in the V bank.We can make the compressor bigger and it give us more freedom to design the intake system.With both compressor,turbine and MGU-H in the V bank in RA616H,its hard to place the VIS.But only MGU-H in the V bank in the RA617H,so we can make it simple.The intake system was what it should be in 2017. ·But to get the compressor and turbine out of the V,we found some new problems.To avoid the contact with compressor,we had to design a complex shape for the oil tank.The design it not good enough,the oil will go into the intake.And finally leads to the MGU-H issues.The shape of oil tank and compressor caused the MGU-H issues. ·The RA617H has the Jet Ignition technology as the other three manufacturer.The compression ratio of RA617H incresed 2 higher than RA615H,and 1 higher than RA616H.Its also the reason why we put the compressor out of the V and make it bigger.But how can we keep the A/F in the pre-chamber and still have higher homozygosity(i dont know much about technology things so i dont know how to translate the word 均質性,) in the main combustion chamber. We tried many palces to put injectors in,but we think the layout now is the best. ·The RA617H has less power than RA616H final SPEC at the start of the season,before we introdued the first upgrade.So its a minus start for sure,but the final SPEC has much more power than RA616H. I think we finally started to understand the Jet Ignition technology and we will do more things in the area from now. ·As the rules set the MGU-K can only send 2MJ to ES and the MGU-K can release 4MJ as most in a lap.But there is no limitation for the MGU-H.So we tried extraharvest technology.First,we harvest more energy from the MGU-K,more than 2MJ,then we send 2MJ to the ES from the MGU-K,the rest of the energy will be sent to the ES thourgh MGU-H.As we had many reliability issues with MGU-H this season,so we didnt find good timing to introduce it.We finally tested it in the Belgium GP and we begin to introduce the technology from Monza. Hi all, this is my first post here. I've been lurking for a while and reading some of the fascinating insights but I thought I could contribute a bit with this article. Having seen the blog with these excerpts I ordered the magazine through Amazon.co.jp and got it earlier this week. Hasika's summary is excellent. Just to add a few details though, taking out the compressor and putting it on the front appears to have had a few knock on effects. Firstly because of the increased space in the V as a result the variable induction system has been simplified and optimised, lengthening the stroke and allowing improved performance through a wider rev-range. Secondly and negatively the oil tank which previously had a lot of space to fit in and was quite simple in design had to be reconfigured around the compressor which it now shared the front of the engine with. Because of its new shape oil was entering the intake duct, through the compressor and into the MGUH, damaging the bearings (although they make clear that this doesn't explain all the MGUH failures). Removing the oil from the air has been a problem this season. Although they have tried different solutions to protect the MGUH bearings they feel there is room for improvement in this area and are focussing on it for 2018. They do have a subtank above the plenum chamber where the oil can be separated out from the air destined for the MGUH. They believe that they have only just begun to optimise how to use the prechamber for jet ignition and lean rapid combustion although they have made several 10s of different prechamber shapes and even more injectors. They expect to make gains in this area in 2018 and beyond. 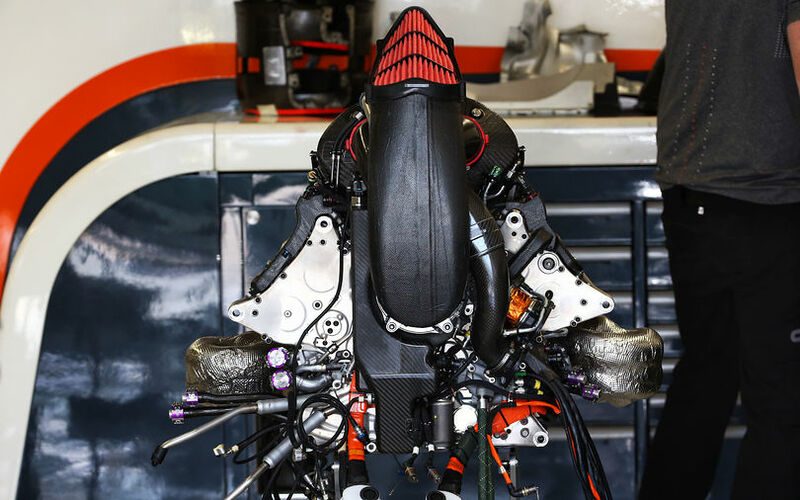 The reliability issues for 2017 were compounded by having only four PUs to last the season with but an equally large factor was the increased workload on the PUs through all tracks. They compared the proportion of the lap the PU was at full throttle in qualifying and there was a significant increase at all tracks bar Monza, and that was due to the rain in 2017. Last edited by Talisman on Wed Jan 03, 2018 10:24 pm, edited 1 time in total. Could the MGU routing cause similar traction issues? And could it therefor be possible that before the 2 mJ is reached of direct MGU-K to ES routing, the alternative MGU-H routing is activated? This way you can maintain an almost constant braking power, reducing brake pulsation in the tires and improving grip.. The K is only capable of delivering 120kW. The 40 pulses of K spinning up the H would be interleaved with 40 pulses of K direct to ES, so the net result at the K is a constant 120kW of retardation, not pulsed at all. so they're charging the ES in pulses at 240 kW (or more as you advocate) ? Last edited by Tommy Cookers on Thu Jan 04, 2018 12:30 am, edited 2 times in total. Without a scale, who knows. The rules don't place a limit on the rate from H to ES, so in order for that timeslice to be as short as possible, it can be more powerful than the K if you want. The only restriction is engineering/packaging. ... I still don't buy it. The rules don't allow energy (beyond 4 MJ/lap) to be transferred from the ES to the 'K and this is nothing but a loophole which the FIA would close in a heartbeat once discovered. The unusual energy flow would be obvious in data reviewed by officials. The ES doesn't need to transfer >4MJ from the ES to the K directly in order for this to be viable. The direct route from ES to K is max 4MJ per regulation and I am not suggesting it needs to be breached. The ES can transfer any amount of energy you like to the H, at any rate. The H can transfer any amount of energy you like to the K, at any rate (though the K can only "consume" energy at 120kW). The suggestion is that this ES to H transfer, then H to K transfer is interleaved, and the switch is done many times per second, and that it's also a reversible process (that is to say the K can charge up the ES using the H as a go-between). The "unusual energy flow" is legal according to my reading of the rules. What rule would it breach, according to your reading of the rules? My point is this. Why have the 4 MJ and 2 MJ limits on K transfers then allow those limits to be breached by sending the energy - to the same place - by a different route? If this is happening and the FIA knows about it (and they would because it would be obvious in the data) they would ban it! It is a device/strategy designed purely to circumvent a rule. It isn't happening IMO. ·...As the rules set the MGU-K can only send 2MJ to ES and the MGU-K can release 4MJ as most in a lap.But there is no limitation for the MGU-H.So we tried extraharvest technology.First,we harvest more energy from the MGU-K,more than 2MJ,then we send 2MJ to the ES from the MGU-K,the rest of the energy will be sent to the ES thourgh MGU-H.As we had many reliability issues with MGU-H this season,so we didnt find good timing to introduce it.We finally tested it in the Belgium GP and we begin to introduce the technology from Monza. My guess is this has been known since the regulations were drafted. And were written that way on purpose, they could have so easily closed this "loophole" with a few words. 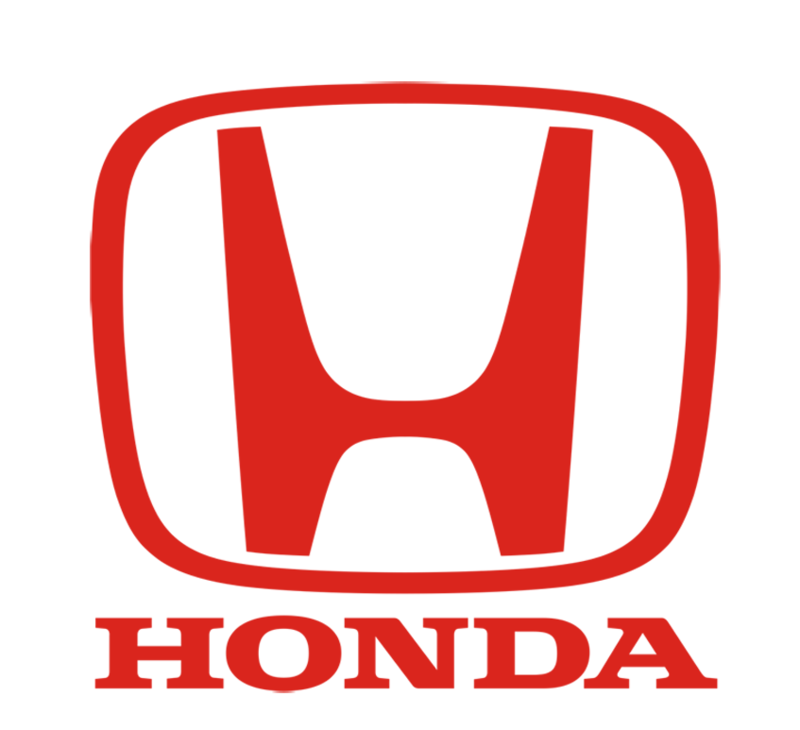 The fact they haven't in 4 years and the fact Honda admits they're doing it should not leave any doubt. Unless Mercedes is somehow getting some ridiculous numbers from the turbine, I don't see any other way.